A perfect combination! A stealie & a dancing bear! 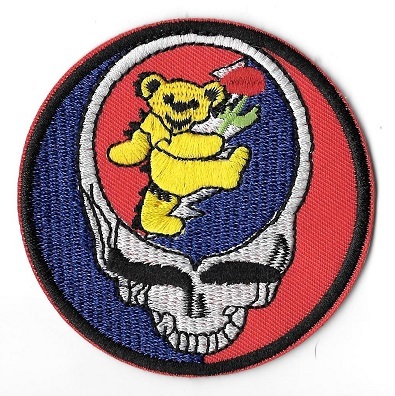 This Grateful Dead patch measures approximately 3" round and can be ironed on or sewn on your favorite things.